AP 101® emulsion acrylic packaging tape is designed for non-critical closure of lightweight cartons. 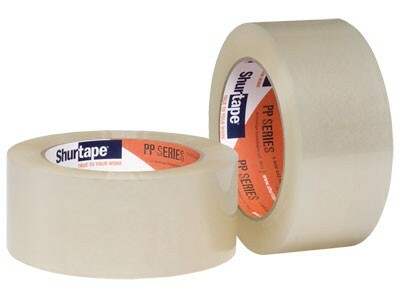 General Purpose packaging tape. 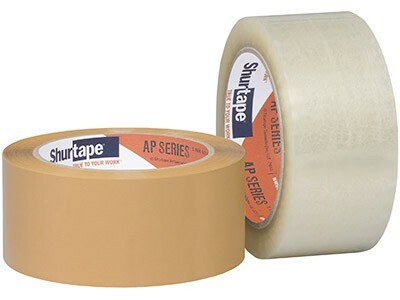 AP 180® emulsion acrylic packaging tape is designed for automated and manual sealing of light to medium-weight cartons. AP 201® is designed for automated and manual sealing of light to medium-weight cartons. Ideal for automated applications. AP 301® is an acrylic packaging tape designed for automated sealing applications of light to medium-weight cartons subjected to handling stress. AP 401® case sealing tape is designed for heavy duty manual carton sealing under rough handling and load stress. It provides critical closure of bulky packages. Light-to-medium carton sealing applications in a wide range of temperatures and normal shipping and handling environments. Use with with hand dispenser. Heavy duty grade, critical sealing and repairing of corrugated containers in hot or cold environments. Use with hand dispenser. 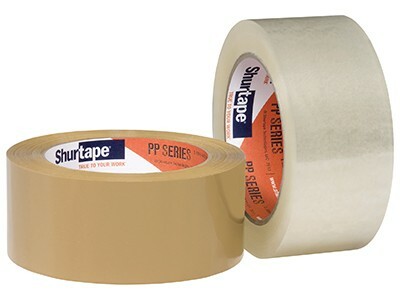 Not Sure Which Tape You Need? Check out our blog titled "Acrylic and Hot Melt Tapes". Or just give us a call at 804.649.1111. Our packaging tape experts are here to answer your questions. You can also email is at sales@ssipackaging.com.